As International Independent Financial Advisers, our clients benefit from advice on the broadest range of products and services. Whether it is for investment advice, retirement planning, offshore trusts & tax planning or simply restructuring existing holdings to reduce costs or simplify administration, we have many years of experience in finding the most suitable solutions tailored for our clients’ needs. We provide impartial, unbiased and objective Independent financial advice, with a view to protecting and enhancing our client’s wealth and peace of mind. We have extensive experience and a detailed understanding of offshore products/services available and how they may be appropriate or otherwise to your plans depending upon your future goals and aspirations. Dean Mullaly – Managing Director – IFA, UK & International Dean has over 32 years experience in the financial services industry, both as a financial adviser & senior sales manager having held numerous senior management positions in various leading financial institutions and banks based here in the UK. In February 2010 he left HSBC International to set up Mark Dean Wealth Management, who are directly authorised by the FCA and specialise in dealing with high net worth/ultra high net worth non domiciled private clients. Dean is a regular publisher of articles related to market consensus and financial planning opportunities. Dean is qualified to QCA Level 4 diploma status and is a practicing Independent International Financial Adviser. Dean is a member of the Federation of European Independent Financial Advisers (FEIFA) as well as the Personal Finance Society (PFS) and the Chartered Insurance Institute (CII). Irina Squire – Senior Adviser – IFA, UK & International Irina is a fully qualified Independent Financial Adviser (holding QCA Level 4 Diploma status) and a member of The London Institute of Banking & Finance. 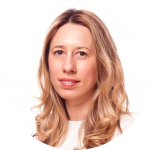 Irina has over 10 years experience working with foreign clients firstly with Citibank then HSBC International before joining Mark Dean Wealth Management in 2014. She has a strong investment management background with focus on multi-jurisdictional tax-efficient solutions. Irina is also a native Russian speaker. Tom Weymouth – Senior Adviser – IFA, UK & International. 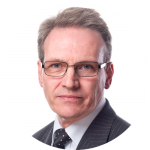 Tom has over 30 years experience in the financial services industry and over half of this time has been dealing with international clients. Tom has a passion for wealth management and international structuring and has assisted many international high/ultra net worth Individuals, corporates and State entities with structuring and managing their investments. Aside from being a qualified Financial Adviser with an impressive set of qualifications, a Fellow of the Personal Finance Society (PFS) and a Chartered member of the Investment and Securities Institute (CISI). Tom is also an experienced Non Executive Director and has sat on the board of many International businesses who wish to route investments through the United Kingdom or have access to this unique market. Silvina Paz – Head of relocating Silvina is the Founder & MD of Address Property Consultants (APC) who have worked with Mark Dean Wealth since 2012. Silvina is renowned for her strong negotiating skills and work ethic. Silvina has worked extensively with high net worth and ultra high net worth private clients migrating to the UK and is fluent in Spanish, Portuguese and intermediate French. Since early 2012, APC has helped countless families find their dream London home, as well as desired locations for school catchment areas. Alex Shaw – Head of IT & Marketing Alex has a wealth of experience, having designed websites since 1994. 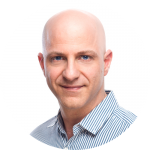 Alex utilises his expertise to deliver a comprehensive on-line presence for Mark Dean Wealth Management. Alex is also an internet marketeer and constantly focused on making the complicated simple, ensuring our clients expectations are exceeded whenever possible. During his career, Alex, has trained many of the web teams that work for larger companies such as the BBC, Disney, Sony etc……….